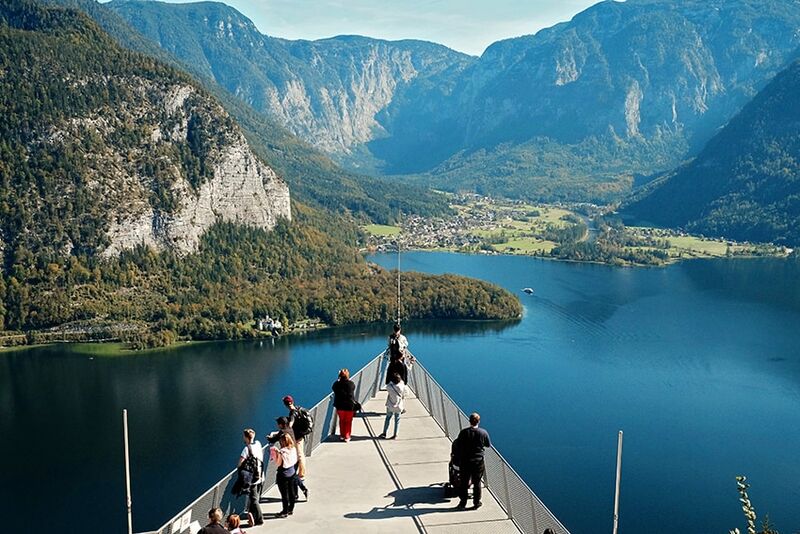 Looking for the best things to do in Hallstatt, Austria? Our ultimate guide has got you covered! Hallstatt is one of the most picturesque village-towns in Austria. Once dubbed the “most beautiful lake town in the world”, this UNESCO World Heritage site, is sure to leave you with lasting memories and images. 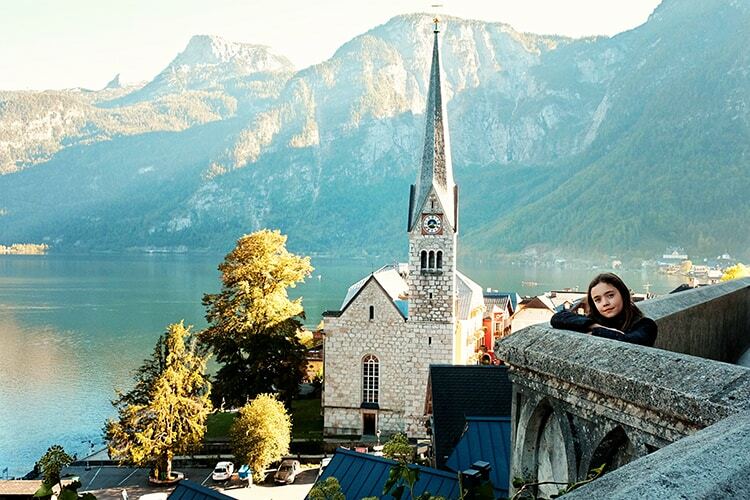 So, without further ado, let’s get started with the best things to do in Hallstatt! 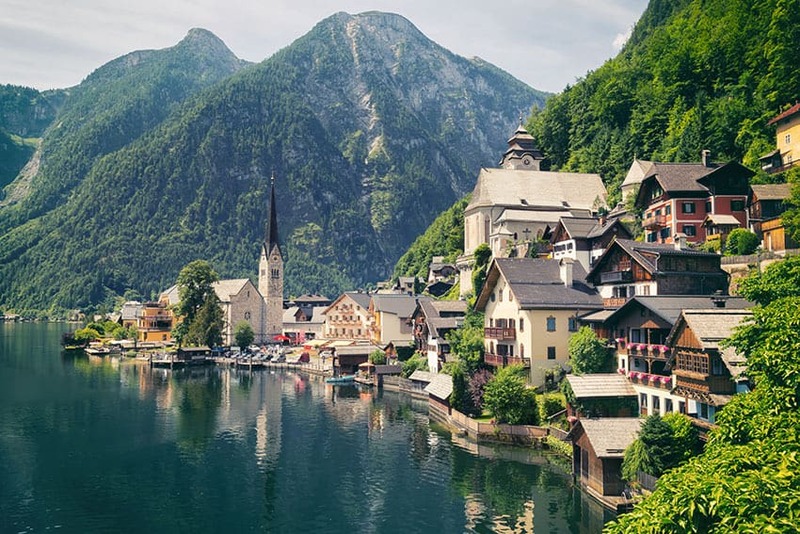 While the exquisite natural beauty of Hallstatt is undeniable, getting there is a medium for the long journey from most central areas in Europe. Hence, we recommend planning well ahead in time for the entire trip. 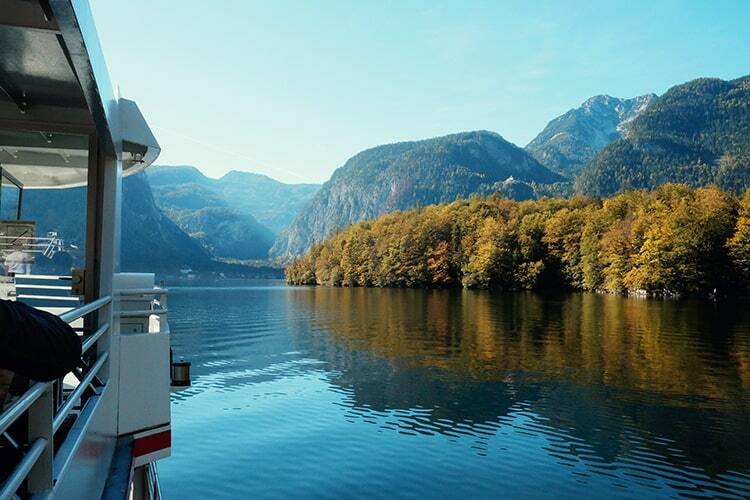 If you’re wondering how to get to Hallstatt, you can reach the location by either road or rail. If you prefer driving or taking the bus, the major starting points are Vienna, Salzburg, and Munich. 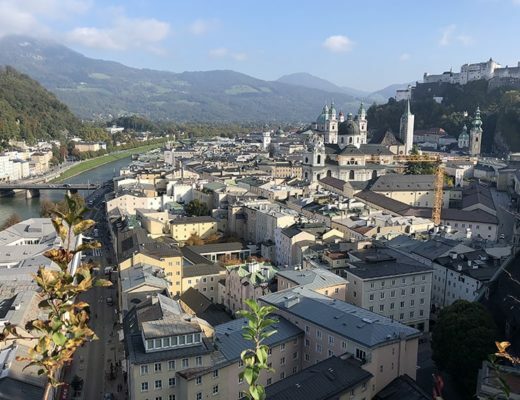 From Vienna, the drive is around 3 and a half hours long, and Salzburg is around 1-hour away in moderate traffic. There is a train station at Hallstatt, but the train journey is a lot longer than the journey by car or bus, so we don't usually recommend traveling to Hallstatt by train. Best time to visit Hallstatt? That would depend on what you intend to do here. If it’s sinking up to the picturesque natural beauty of the area, you’re better off visiting in the spring or summer months. Summers are also the best time to go hiking and cave exploration. However, if you intend to indulge in skiing, or enjoy the snow, the best time to visit Hallstatt would be from January to March. The Hallstatt area is extremely picturesque, and walking around the village leads you to find small shops selling salt items and adorable cafes. The Market Square, albeit small, is the place you want to go to if you’re hungry, or are looking for a place to stay. The Hallstatt lake is the highlight of the entirety of Hallstatt. The lake is large and clear for most parts of the year. You’re best off taking a pedal boat if going in the summer months when you can explore the lake at your own pace. 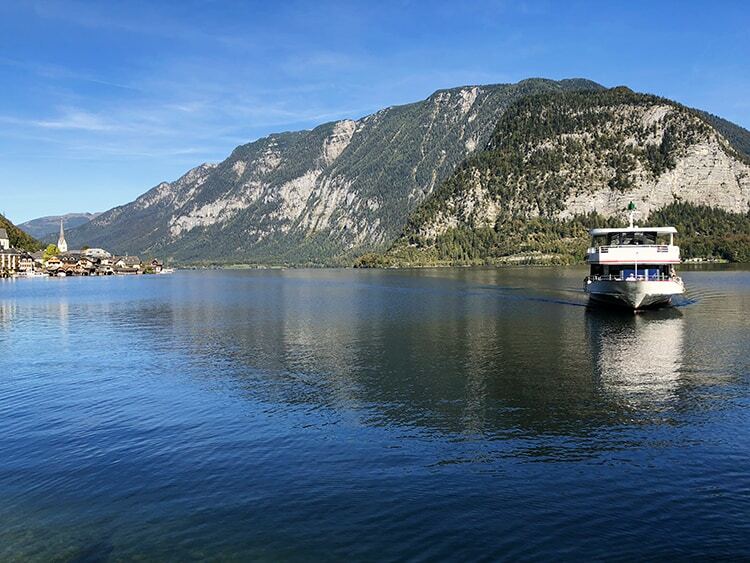 You can also hop on board a ferry for a beautiful tour of the lake. We recommend this during the colder months, as the ferry has an ‘indoor' section where you can sit to stay warm. Once you’re done walking the main street and the side streets, you should head to the waterfront. It’s a wonderful way to enjoy the lake and the surrounding mountains, and it’s also where you rent the boats. Salt mines have been the cornerstone of Hallstatt’s prosperity. It’s no surprise, then, that the mines are a major tourist attraction. Salzwelten Hallstatt (Hallstatt Salt Mine) is one of the most unique places to visit in Hallstatt. 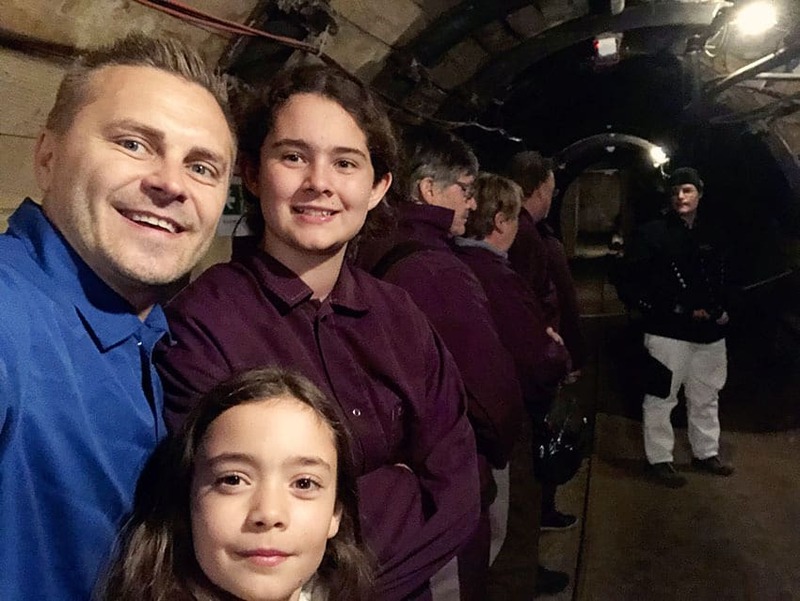 The mine tour also has underground railway tours as well as mine slides for those seeking a different brand of adventure. 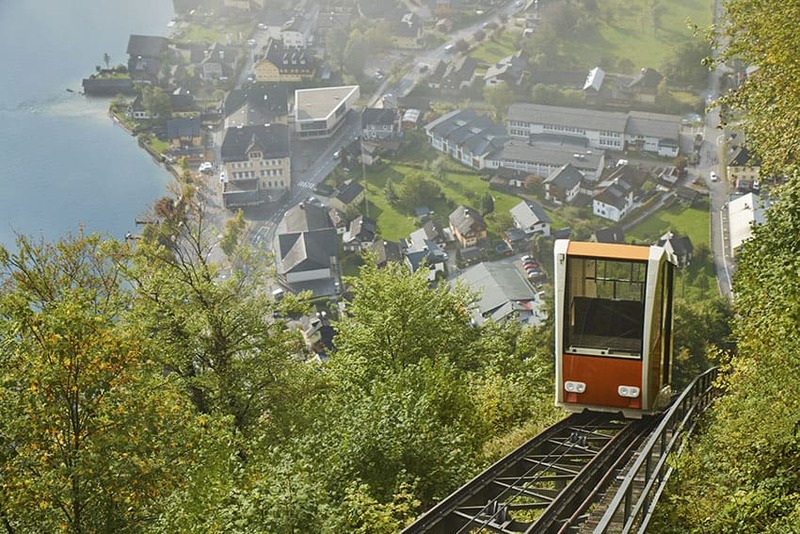 Interesting tip: Hallstatt has the longest underground wooden slide in Europe. Sliding on one of those is definitely something that you don't want to miss out on! You can read our full blog post about the Hallstatt Salt Mines here. This is no ordinary church. 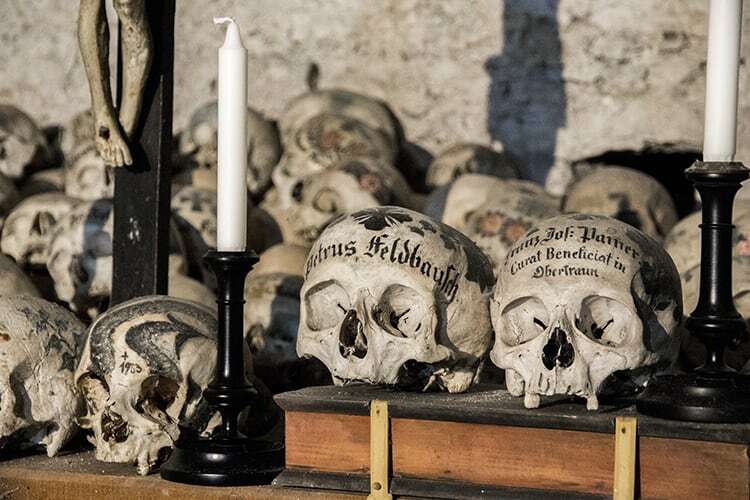 The church itself is small and beautiful, but the church is renowned for a local artform – skull painting. 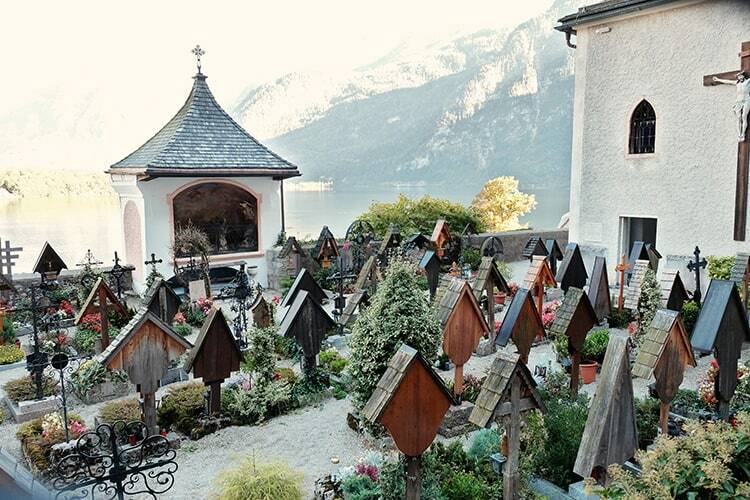 This is one of the highlights among what to see in Hallstatt. This art originates from the rocky terrain of the area limiting the number of people you can bury in a cemetery, and painting skills are how you remember and identify your loved ones. The St. Michael’s Chapel has over 600 painted skulls in it. Even today, the graves are liable to be reused every 10 years. The church and cemetery have a particular season when they’re open, with timings and ticket prices changing accordingly. 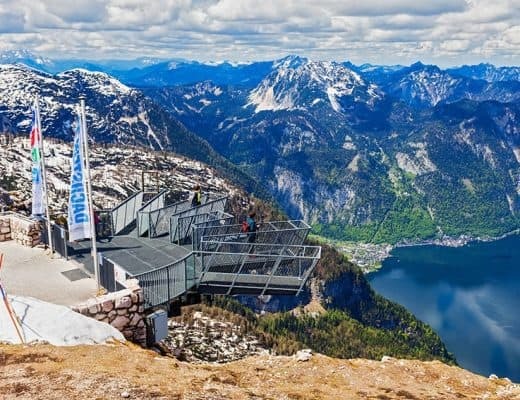 The Hallstatt Skywalk is the best way to experience breathtaking views of the Hallstatt-Dachstein-Salzkammergut region. A day trip to Hallstatt is incomplete without coming here! 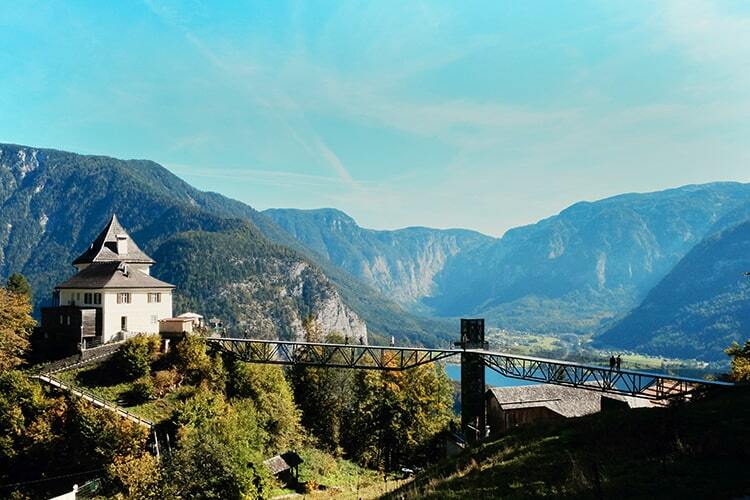 It’s a platform built at 300 meters above Hallstatt, and it costs around 16 euros to catch the funicular that runs up to the skywalk area. Make sure to head out to the point of the lookout for some wonderful views over the lake and town. Before heading down, why not sit down at the restaurant and enjoy a cuppa. If you find it to be a little steep, you’re best off going to the nearby mountain trails and clicking some beautiful shots of the area – though they’re not nearly as magnificent as the view the Skywalk gives you. 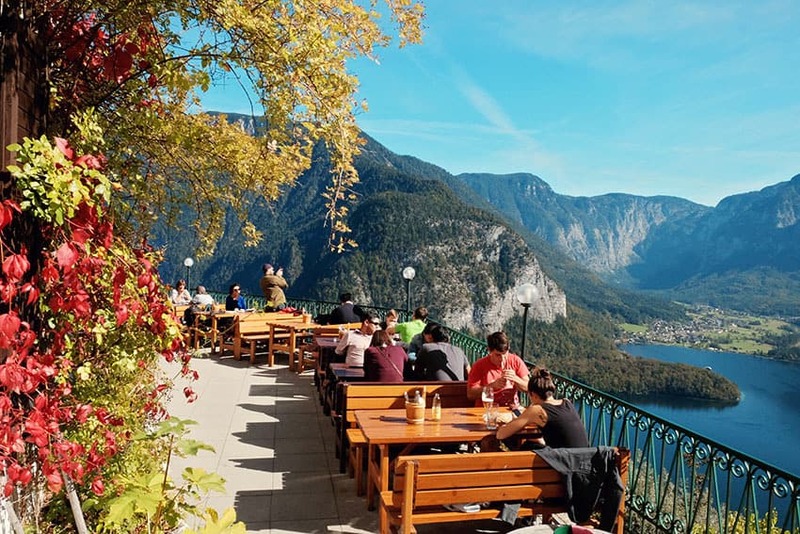 You’ve come to the right place if you’re looking for restaurants in Hallstatt. Here’s a rundown of the best places to eat. Restaurant Im Seehotel Gruner Baum: This restaurant serves you classic European, Austrian and Central European dishes, and to top it off, you can enjoy a wonderful lunch or dinner by the lake. The food is great – this is easily the most popular restaurant in Hallstatt. Gasthof Zauner: This restaurant is located right within the Markplatz, the central market area. This has been serving tourists for many years, and still maintains some of that classic vibe. Great service and an excellent menu are the things to look out for here. Maislinger: A day trip to Hallstatt is incomplete without going in for breakfast and desserts. This is the most popular bakery in the area – the most famous delicacies here are the Apple Strudel as well as the cakes. It’s got a small room hidden away in the back if you want to have a quiet cup of coffee! 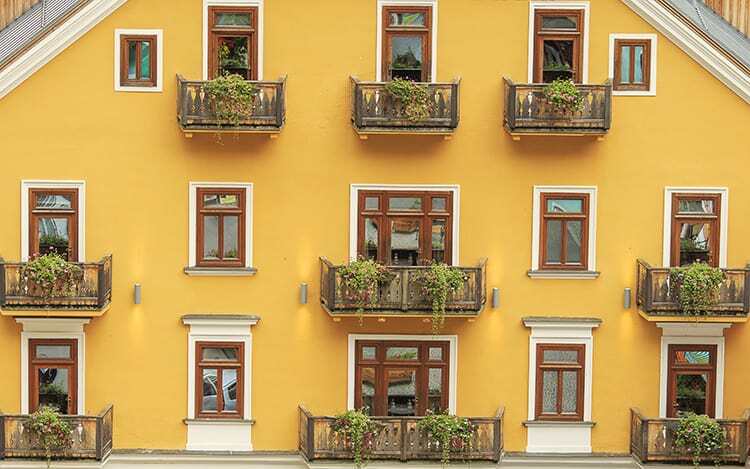 Being a small town, Hallstatt doesn’t have hostels or sharing rooms. Hotels are your best bet, and during the summer rush, prices can rise quickly – do book well in advance! Seehotel Grüner Baum: This comes as no surprise, since it is located right next to the lake, and has been running for a while now. Many of the rooms are located right next to the lake, so book in advance. There’s a free shuttle to the town too! 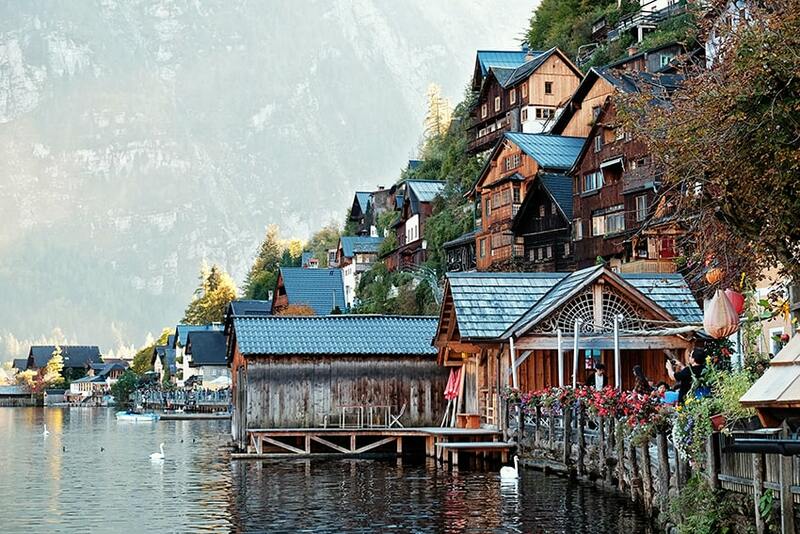 Hallstatt Hideaway: This place is best for lovebirds or those coming to Austria for honeymooning. There’s a private beach area to relax in, and you wake up to a stunning view of the lake and mountains. Bear in mind that this hotel is adults only. 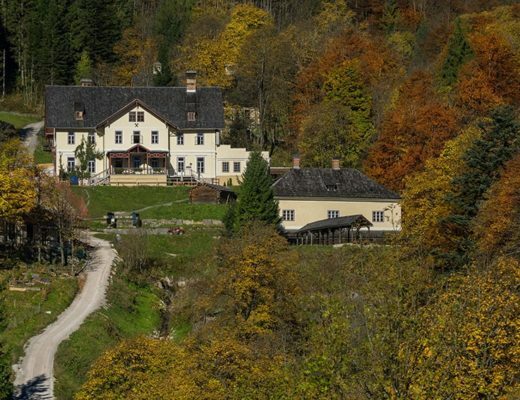 Gasthof Hirlatz: This hotel is perfect for families and people looking to explore nearby areas like Dachstein and Obertraun since this is located away from the Hallstatt center. Hiking and biking trails begin right next to the Hirlatz. If there is anything that you think we should add to this guide, please share it with us in the comments below. 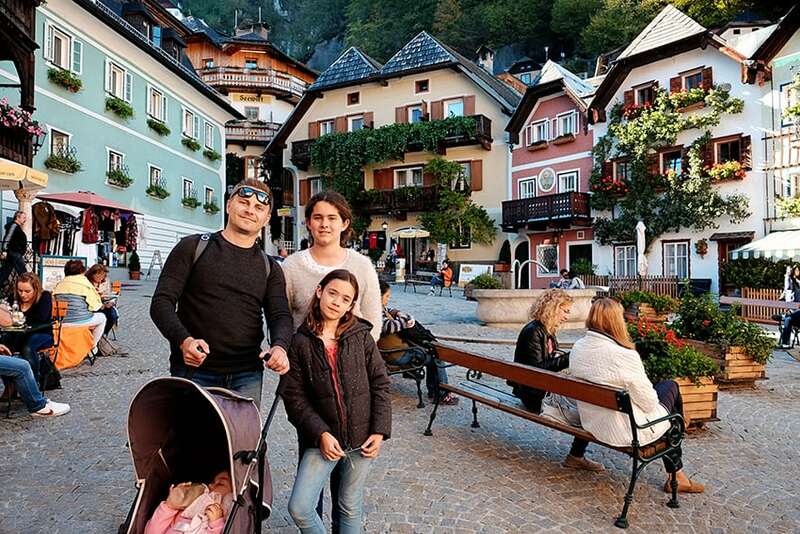 Disclaimer: Thanks to Dachstein Salzkammergut for hosting our family during the day of activities in beautiful Hallstatt.